Stevie Ray Vaughan Style Open String Blues Licks – Get Some Blues Twang In Your Solos! Stevie Ray Vaughan is one of the most iconic blues guitar players ever! In this lesson we’re going to look at one of the key elements of the ‘SRV sound’: open string scales and licks! So jump on in and get that ‘Texas twang’ in your blues solos! 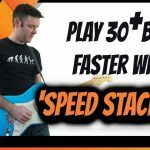 Learn how to create amazing blues guitar solos with the open string blues scale and play open string blues licks in the style of players like SRV, Hendrix, Clapton, Freddie King and others. 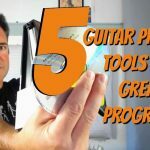 I’ll show you how to play E blues scale using the open strings and many cool ways you can use this scale in your guitar solos, using strings bending, slides and more. So let’s get into it! 0:46 Let’s take a look at how we play the E scale using the open strings. This scale shape is great for making up lots of ‘twangy’ open string licks…a favorite of players like Stevie Ray Vaughan, Jimi Hendrix and others. This is a classic open string lick that Stevie Ray Vaughan used a lot in his solos. This one sounds great used as a blues turnaround over a 12 bar blues in the key of E.
2:57 This part of the lick uses a cool double stop sliding move. Notice how it’s outside our sliding shape slightly. We’ll talk about this here and how to use this little trick in your solos. Notice how you can hammer the B flat note and make it sound more fluid and smooth. 5:17 Closing the lick with a strumming on the B7 chord and an open E bass note. This B7 leads us back to the start of the 12 bar blues in E.
6:16 Open string lick #2. Here we are using a cool string bend on the G string and a double stop slide. These are both great resources to use in your own solos. 7:06 Where does this other slide comes from? 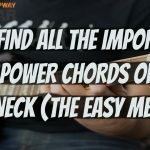 This will make a difference to your solos! Playing the same note with 2 different strings instead of just playing open E string, makes it more intense and powerful. 8:32 Let’s hear the whole lick now. 8:39 Summary of lesson and some more tips with demonstrations.